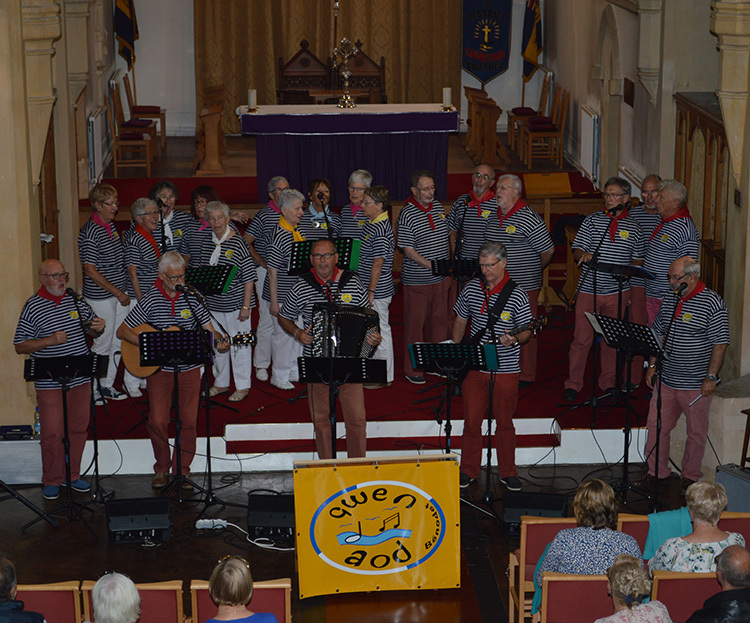 Over the weekend of 9-11 September 2016, Torpoint was visited by a delightful Breton folk song group called Gwen Aod. 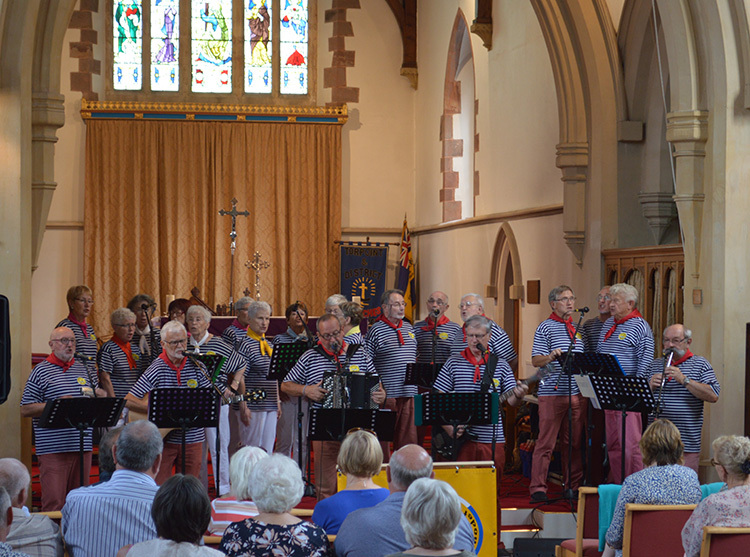 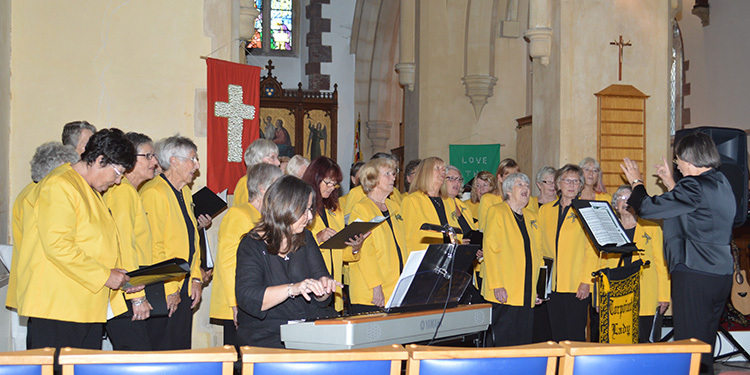 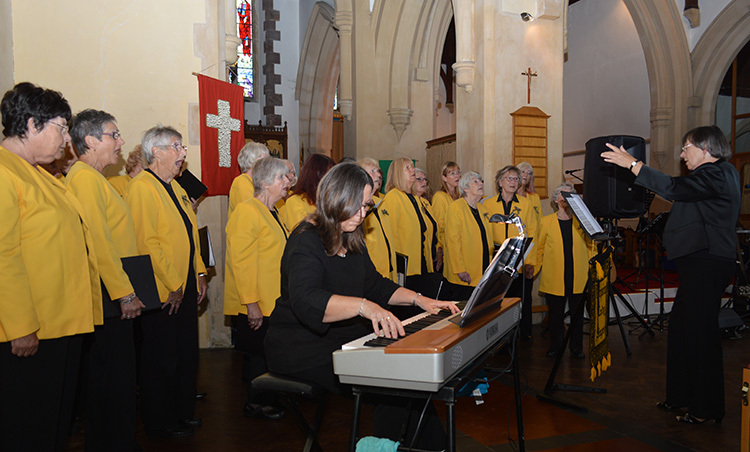 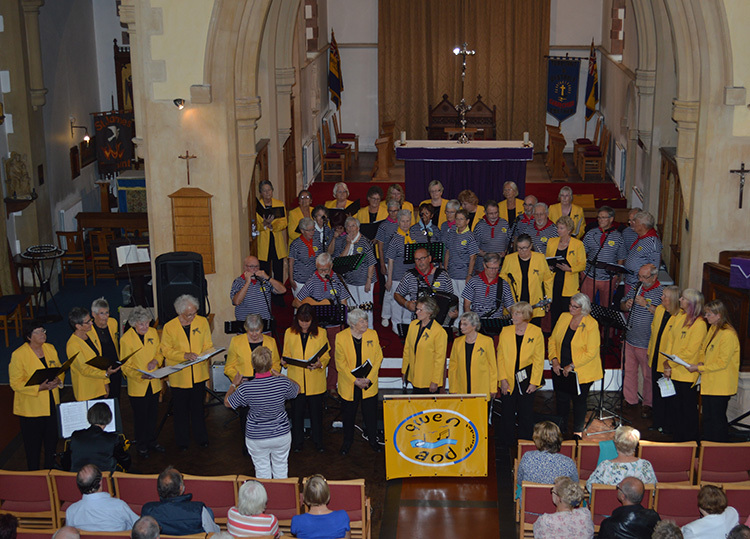 On Sunday afternoon at 3 p.m. St. James Church resounded to their joyful music, beautifully supported by the Torpoint Lady Singers. 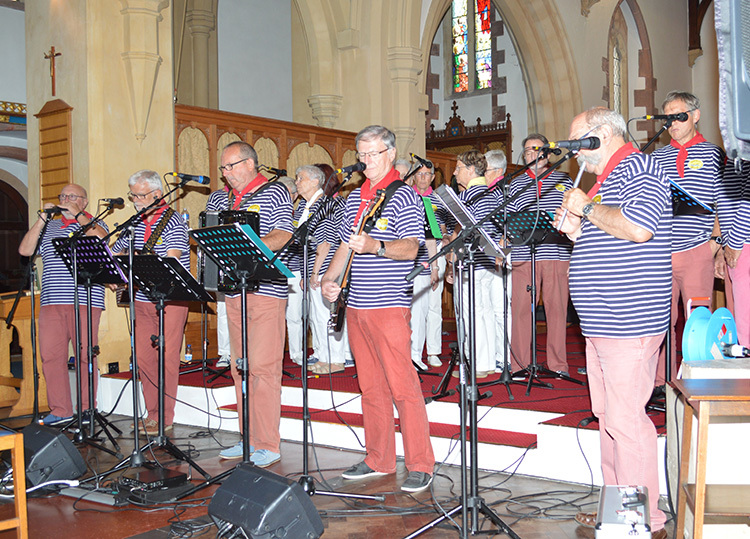 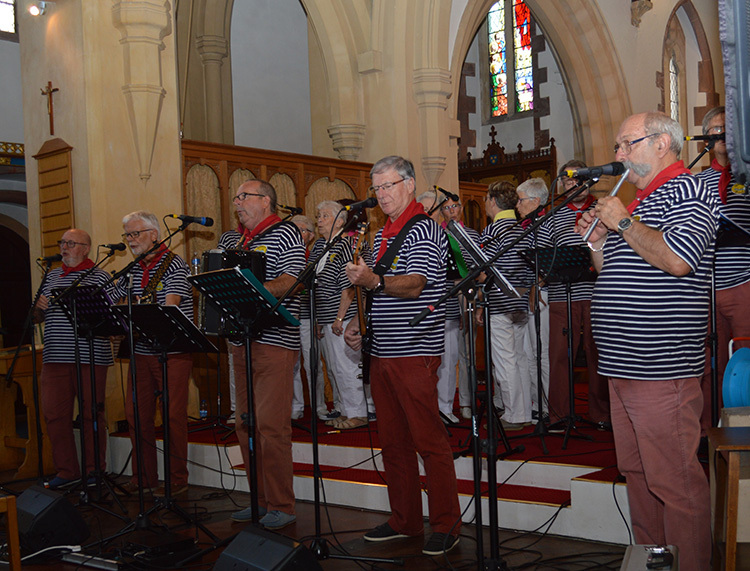 Both choirs sang carefully selected sets of songs on the theme of sailors and their life at sea. 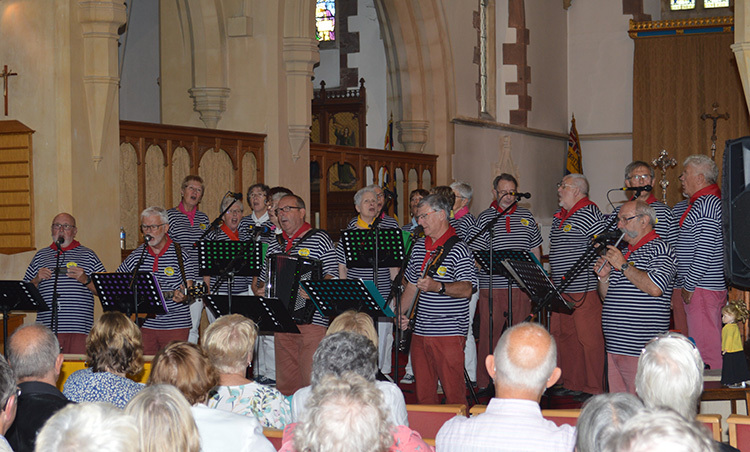 Proceeds from the event totalled more than £350 which was donated to the charity, Seafarers Link.